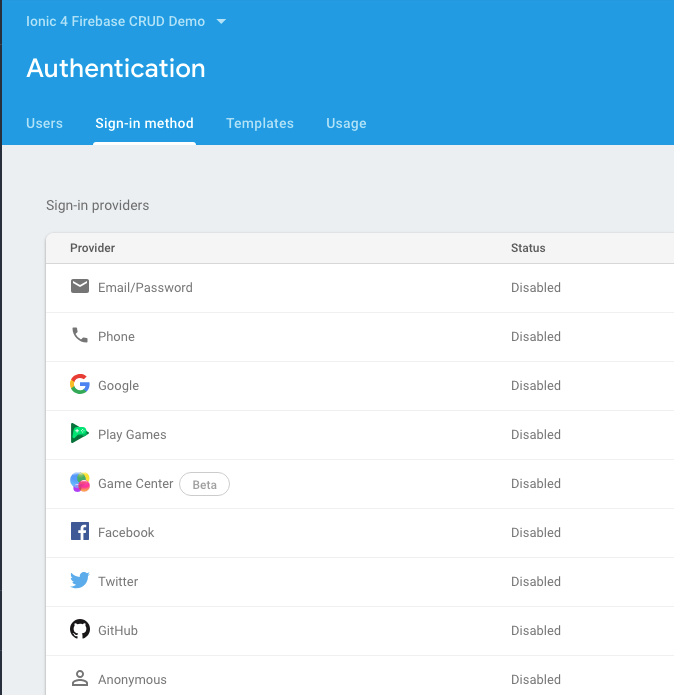 In this Ionic 4 Firebase tutorial you will learn how to create a CRUD (Create, Read, Update, Delete) application in Ionic Framework using Cloud Firestore as a database and Cloud Storage as an image storage. 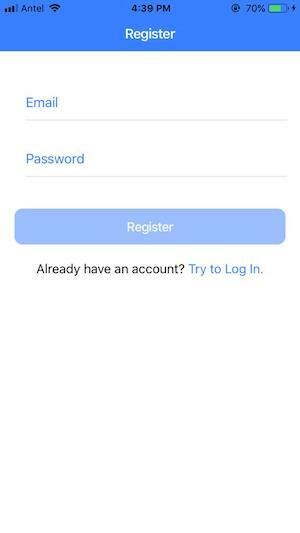 As an example we are going to build a simple Ionic Framework application that allows users to log in and log out using email/password authentication with Firebase. Once they log in, they will be able to perform all the CRUD functionalities through a list of tasks. In other words, we are going to build a To Do App with Firebase and Ionic. You need an Ionic 4 application where you will integrate this authentication features. You can either use a blank app, or an existing one. Ionic is a free and open source framework which allows you to build mobile apps easily using web technologies. 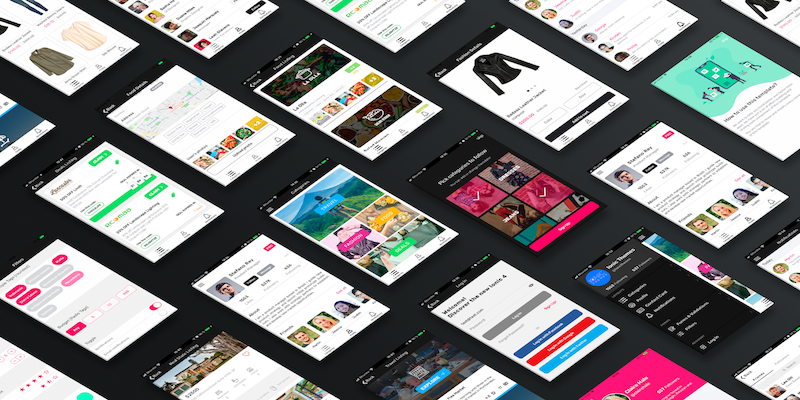 The good news is that if you already know how to build websites, then you know how to build mobile apps. Ionic Framework offers the best web and native app components for building highly interactive, native and progressive web apps. If you want to learn more about Ionic I deeply suggest you to read our Ionic Tutorial: Building a complete mobile app with Ionic Framework. to learn Ionic from from scratch for free! Firebase is a popular tool that helps you build apps fast, without managing infrastructure. It’s a powerful Database as a Service (DBaaS) solution which provides a scalable NoSQL cloud database to store and sync data for client and server side development. Firebase is built on Google infrastructure and scales automatically, for even the largest apps, so you don’t need to worry about scaling your own servers. Firebase has a freemium model and is not open source, however, you can use it for free if you don't pass the limits of their free tier. So if you plan to build a big application with lots of users check their pricing page before deciding to use it. 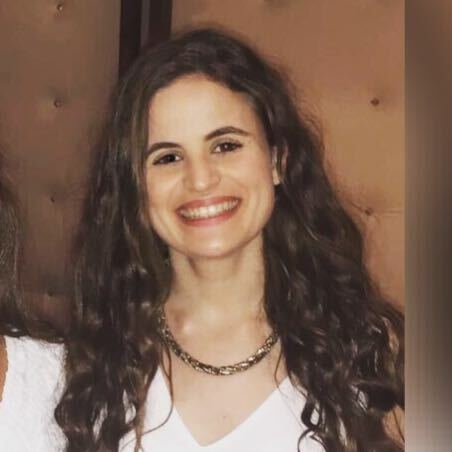 Depending on your needs, you may be fine with the Free tier. Support for Firebase in Ionic and Angular has been growing recently, and in this firebase ionic 4 tutorial, we will show you how to create an ionic and firebase example app that is able to perform the CRUD operations using Firebase as a database and also as a file storage. At IonicThemes we firmly believe that learning to code is much easier with practical examples. That's why in all our ionic framework tutorials we always create and deliver a FREE and fully functional Ionic example application. Clicking the GET THE CODE button from above, you’ll be able to download the ionic firebase example app that we developed for this ionic tutorial. This app has a basic login with email and password implemented with Firebase and a list of tasks on which we’ll perform CRUD operations such as create, read, update and delete a task. We will go through the step by step of building a To Do App with Ionic and Firebase. Feel free to reuse this starter app as a boilerplate to start building your own Ionic Framework mobile application. It’s important to emphasize that the tasks will be associated to the logged in user, that’s why we need to implement authentication. To learn more about firebase authentication, read Firebase Authentication in Ionic Framework Apps. To communicate our ionic 4 application to the firebase project we’ll use the angularfire2 plugin. We will also have to install the Image Picker plugin in our Ionic app. 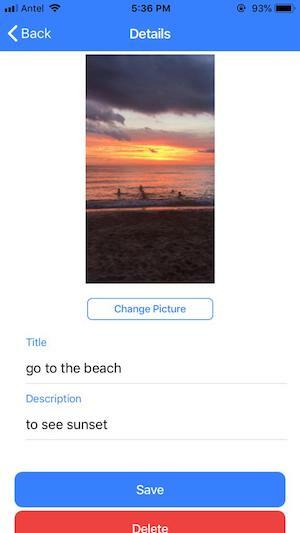 We’re going to use this plugin so that our Ionic app can access our cell phone’s image gallery and thus be able to create tasks with images that we can then store in the Firebase Storage. Important: Image Picker native plugin requires cordova-plugin-image-picker, so you shoul also install it. 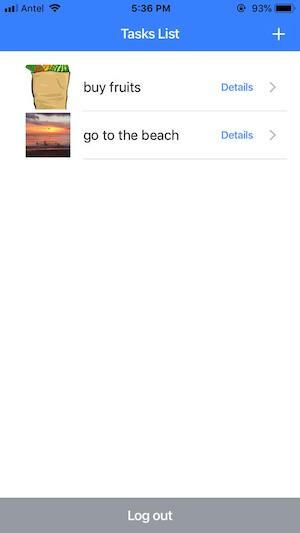 If you want to learn more about handling images in Firebase I recommend reading How to upload an image to Firebase from an Ionic app? and if you want to learn about image management in general within an Ionic Framework application I recommend Image handling in an Ionic app. Click on "Add Firebase to your web app" to see your new Firebase application’s credentials. We’ll specify these credentials to tell our Ionic application to communicate with our Firebase application. Now we’re ready to start implementing the CRUD with Firebase and Ionic. 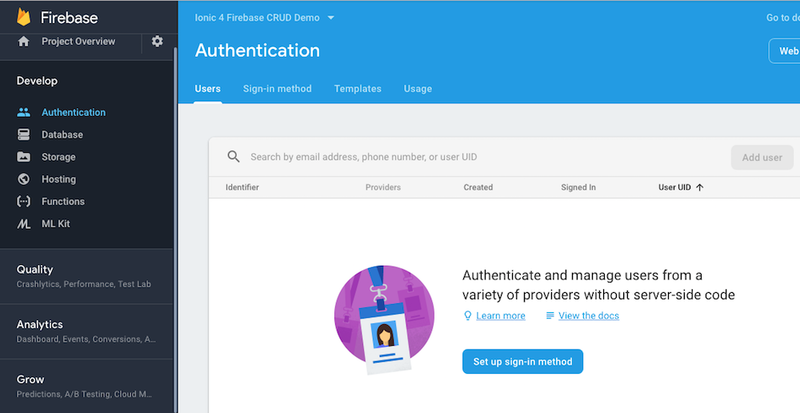 To implement the CRUD functionalities, we created two services: auth.service.ts where we have everything related to authentication and firebase.service.ts where we have everything related to the CRUD logic. First you need to enable Authentication in your Firebase Project. To do this go back to the Firebase console and click on Authentication tab. Now click the "Set up sign-in method" button. You will be able to select the authentication providers you want to configure for you app. For this app we will only enable the Email/Password option. We have another tutorial explaining how to add social providers such as Facebook. We’ll start with the authentication service methods, where we’ll have the login, register and logout. We opted to implement a simple authentication so that each user can have his or her own tasks. In other words, each task belongs only to the user who created it. 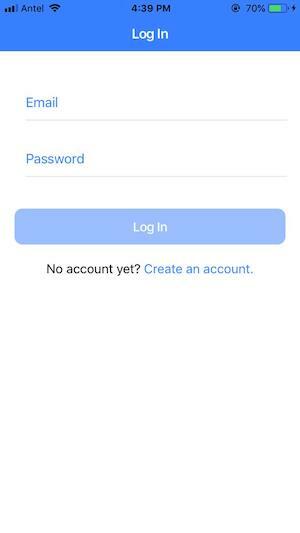 Before going to the technical part, I want to mention that we have another guide where we explain step by step how to add social logins using firebase to an Ionic framework mobile application. Also, in the authentication tutorial we explain the benefits of adding social authentication providers to your ionic app, and also explore every possible option to implement it. So, let's see how to perform Log In and Register functionalities to get a user authenticated with firebase email and password. It's very simple, we just need to import the Firebase library (which was installed with angularfire2) and call the createUserWithEmailAndPassword and signInWithEmailAndPassword methods. We will also need to create some basic forms in our Ionic 4 App to let the user type his email and password and then a button to submit the values. Learn how to use forms and validations in ionic framework 4. If you want to implement a more complete authentication with Firebase and Ionic 4 I recommend reading Firebase Authentication in Ionic Framework Apps where we explain how to create an Ionic Framework application that offers authentication with social providers (such as with facebook, google and twitter) as well as with email and password. It also has lots of forms and validations examples and all the authenication screens you will need for your ionic 4 app. Now we’ll see how to implement the CRUD functions in our Ionic Framework App using Firebase. As mentioned above, the tasks are going to be assigned to the logged-in user, so we’ll use the firebase.auth().currentUser method to get their uid. IMPORTANT: Note that the value.image from the code above must be the download URL that we will now explain how to get. 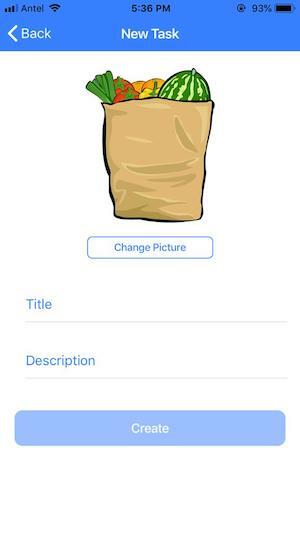 It's important to mention that for this Ionic 4 demo app, we use the image picker cordova plugin to access the image gallery. 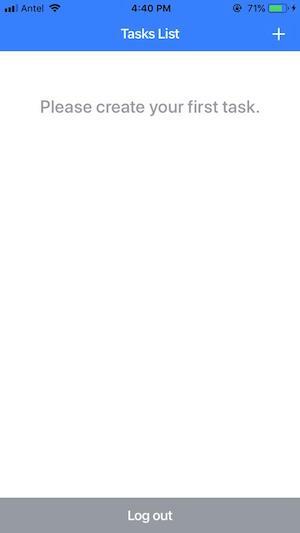 This means that this will only work on mobile, and not in the browser. If you want to add support for browser you can use the Capacitor Camera API. Then we must convert the URI that comes from the ImagePicker plugin to a base64 url. To do this we’ll use a canvas. Once we’ve created one or more tasks, we’ll be able to list them. To get all the user tasks we’ll implement a getTasks() method in the FirebaseService. It’s very important to use the snapshotChanges() method since the answer gives us each task ID, which will be then used when updating and deleting the tasks. The method to obtain data from a collection is valueChanges() which gives us a json with that task attributes, but without its ID. For more information about these two options visit the Firebase documentation. Now we’ll proceed with the updateTask() method that receives as a parameter the id of the task to be updated, as well as its new value. It’s important to notice that if the values from the task are to be modified, the new value should maintain the previous value, that is, if you want to update the image attribute of Task X, the value parameter must contain its description and current title. Deleting a Task is very simple, you only need to know the ID of the Task to be deleted. Hopefully, you didn't run into any issues with this Firebase and Ionic 4 step by step tutorial, but if you did, feel free to post in the comments section below. Remember you can get the full source code of this Ionic 4 app by clicking the GET THE CODE button from the beginning of this page. In this Ionic and Firebase tutorial we learned how to perform a simple CRUD using Cloud Firestore in an Ionic 4 application to list, create, edit and delete tasks. We also saw the different ways to obtain data in a firebase collection: valueChanges() and snapshotChanges(). As a bonus, we don’t only save an image in the Cloud Storage, but we also teach you how to get a download url to store it in the firebase database. I hope this tutorial on how to create a CRUD with Firebase and Ionic Framework has been useful and remember that if you have any questions or suggestions you can leave us a comment below. We have dozens of Ionic tutorials where you can learn to create the best mobile applications with Ionic Framework. If you want to learn more about Firebase and Ionic visit this link. 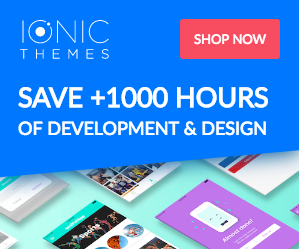 I also want to take this opportunity to tell you that at IonicThemes we’ve created the most complete and beautiful template that you could ever develop with the Ionic Framework. It has many features, integrations and components that will surely make your Ionic Framework-made application stand out from the rest!